One of our top notch marketers, Mannie Gamez. 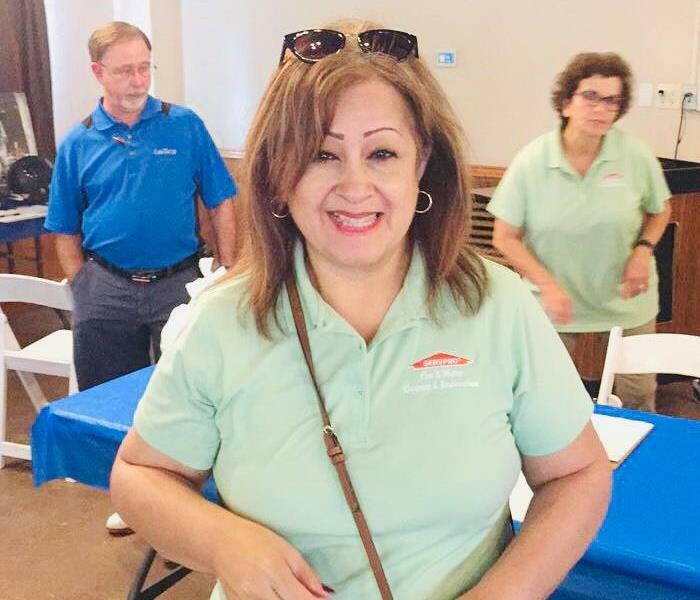 Ms. Mannie has been with SERVPRO of Katy/Cypress since 2013 and has assisted with many golf classics in the past. This photo was taken back in March of 2018 at High Meadows Ranch over in Magnolia Texas. We here at SERVPRO of Katy/Cypress would like to thank the representatives of High Meadows Ranch for hosting us and our awesome clients. It was truly a great time. These are collapsible storage vaults. They collapse to fill space, which is needed for a warehouse as big as ours. We use these vaults to store high value items. Items such as customer belongings. Every single item is logged into a vault continence sheet. This allows us to find and retrieve any item upon request from customer. Inside the New SERVPRO of Katy/Cypress Facility. This is our new training room! 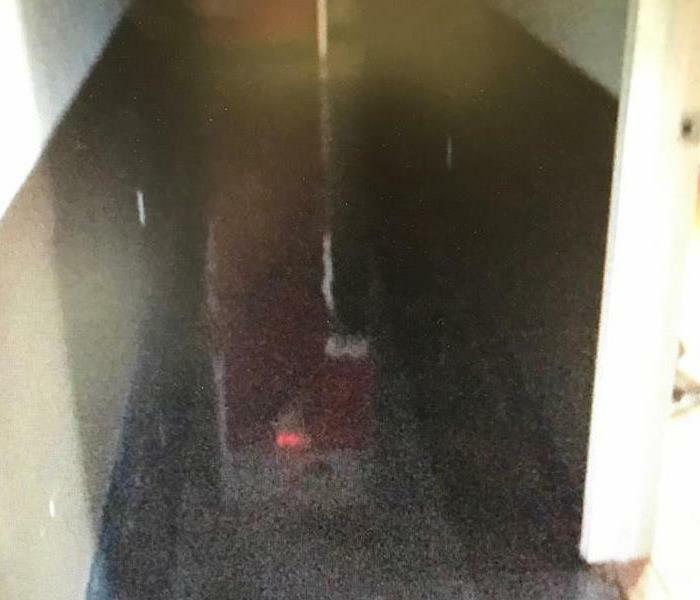 This room has multiple uses. Beyond having our daily morning meetings, we also present our Continuing Education classes in here as well. We here at SERVPRO of Katy Cypress are excited to share our new facility. This is the front door for our new facility! We couldn't be move excited! It was completed in 2018. We were able to double our office space, parking lot, and storage so that we can focus on more at once. Being prepared is all part of the process. 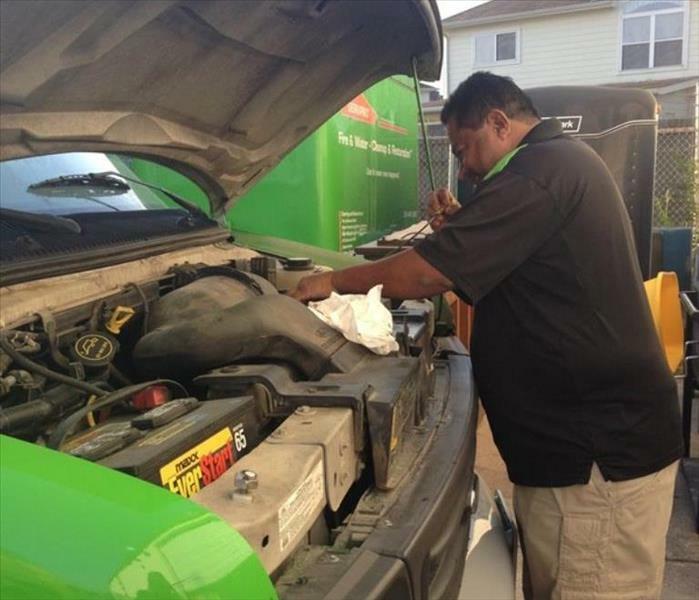 We make sure our trucks and vans are cleaned, filled up with gas and fully organized for any job at any time. Time is everything in our business. Organization is key when you are on call 24/7. 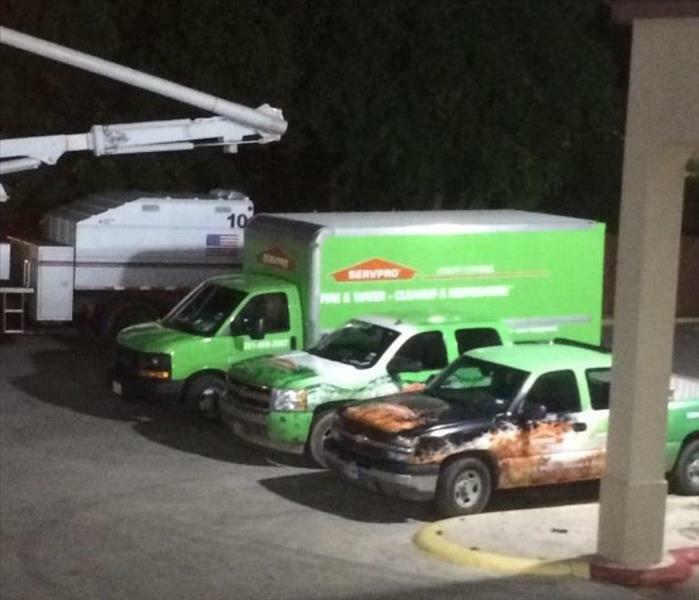 We here at SERVPRO of Katy/Cypress are ready and always prepared for any job, at any time. Try us out. 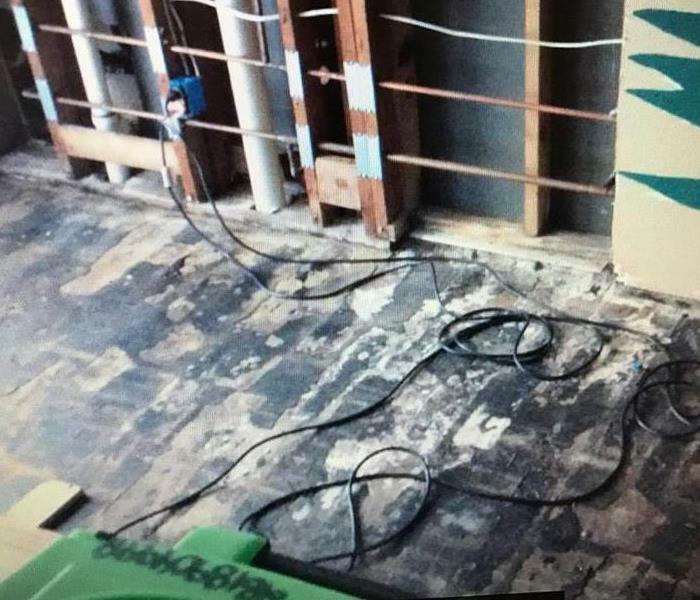 In October of 2018 we went up to Kansas City, Missouri to assist another SERVPRO. This photo was taken in the Plaza area after a late winter storm hit the mid west. Water Restoration is nothing to get excited about. If you are going to make jokes about it then make sure that you keep a dry humor about it. 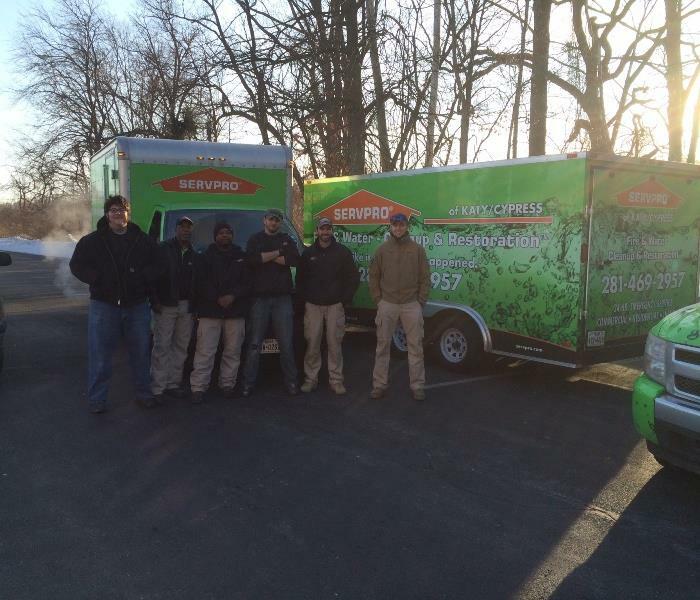 Here are SERVPRO of Katy Cypress and Champions 1960 we are certified experts on water restoration. When considering a water restoration job, you need to think about what category the water is. There are 3 categories of water. 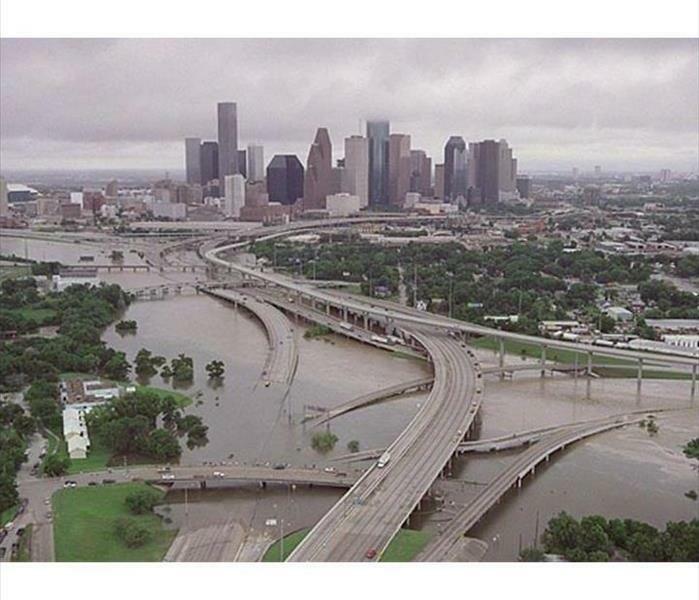 In 2017 Houston, Texas was flooded very badly by an influx of rainfall. 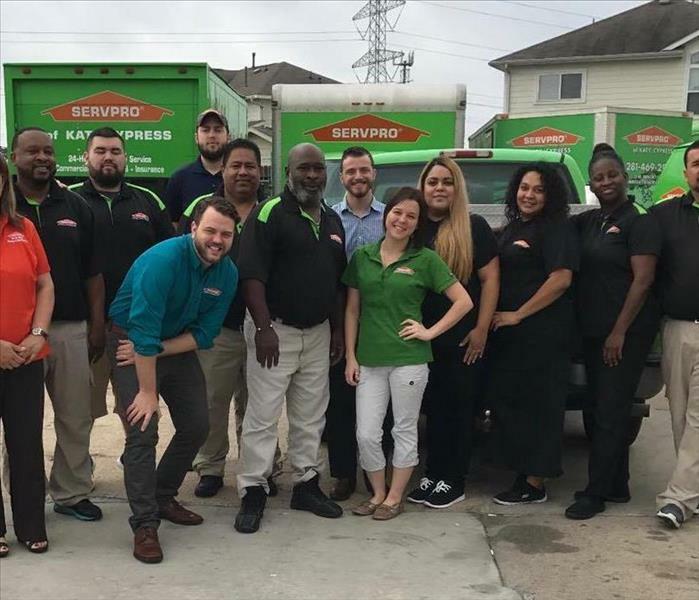 As a restoration company, SERVPRO of Katy Cypress and Champions/1960, did everything we could to help get Houston back on its feet. 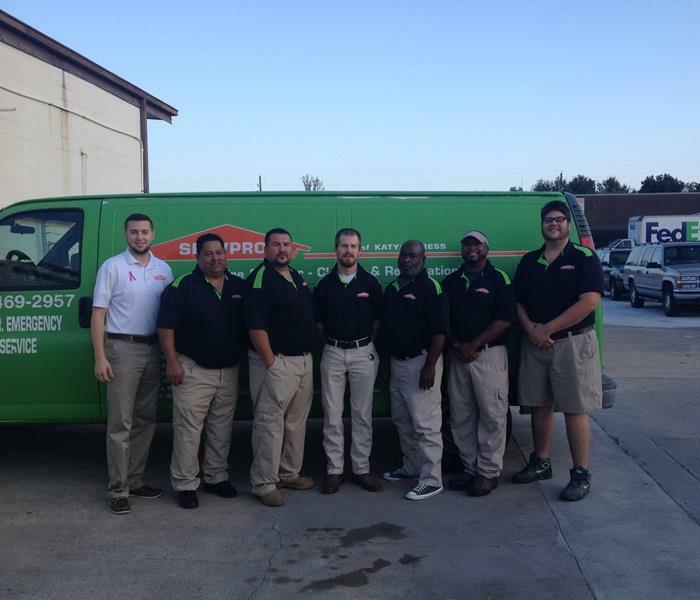 This is our Storm team for SERVPRO of Katy Cypress and Champions 1960. We take our job very seriously and know that timing is everything when it comes to storm response. As soon as we get back from a storm we prepare our vehicles for another storm so if we get the call we can get on the road right away. Mold is a fungus with at least 20,000, but may be as many as 300,000 different species of mold. Mold is classified as a saprophyte. most derive nutrients from decomposing organic matter. 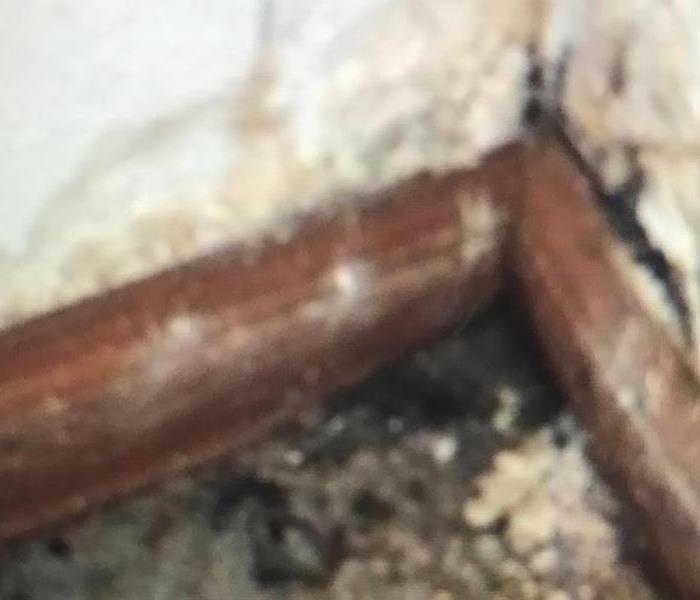 While most mold isn’t deadly it is still a nuisance. Common reactions to mold can include sneezing, runny or stuffy nose, cough and postnasal drip, itchy eyes, nose and throat, and watery eyes. If you have these symptoms for no reason call SERVPRO and get it remediated immediately! 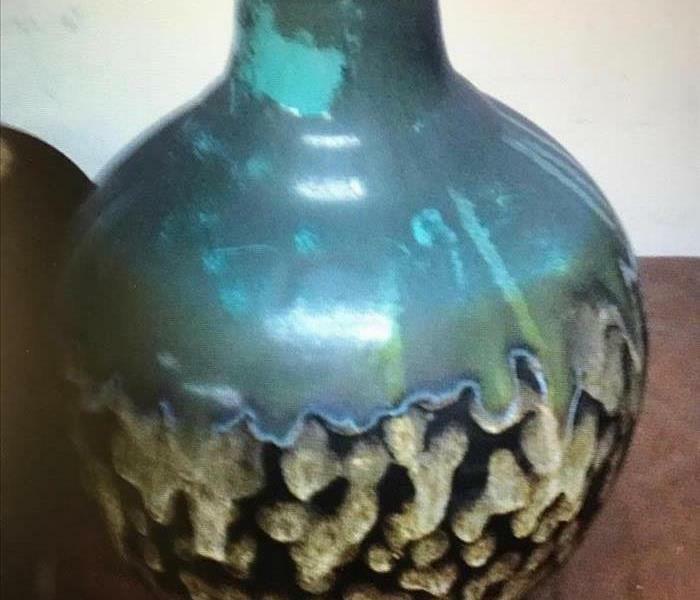 As you can see by looking at the vase, it has received smoke and fire damage. 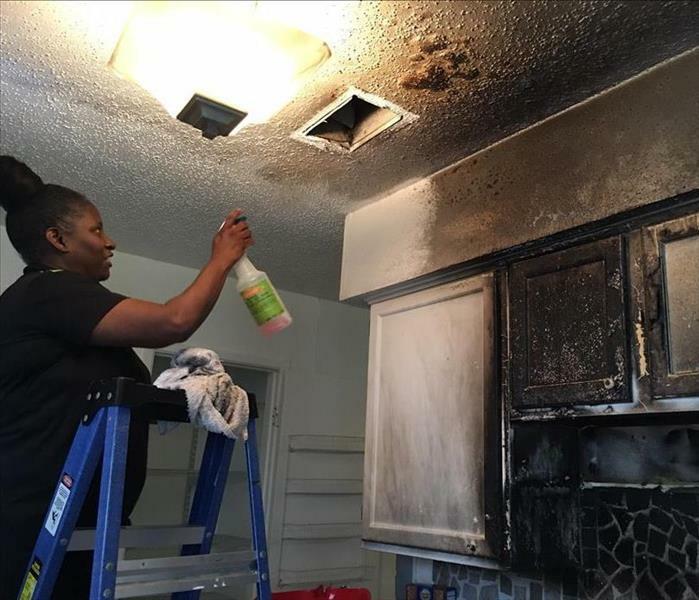 This happens when their is a fire and the smoke leaves a soot residue on the surface. With our trained professionals we were able to get rid of it! While this isn't the SERVPRO standard PPE for fire restoration it is very important to have the proper attire when dealing with a fire restoration job. On a side note this would protect you and would make your aim very poor. When something goes wrong with a commercial building however it is a place that is very precious. I am not saying it is more important than a residential property but what I am saying is a commercial building costs money each day it is closed. Each day that this business is closed is a day that has lost money. Last year (2016) was a year full of storms. One storm that was memorable was the rain storm that hit Louisiana. If you remember Hurricane Katrina, then you remember that Louisiana has been hit bad before. Well it seems sometimes it is hard to escape water. Most of the people that we worked on were hit by Katrina and then moved to higher ground in Denham Springs, Louisiana because it was a city not in the flood plains. While these people were hit by a storm again they were also very experienced in storms. 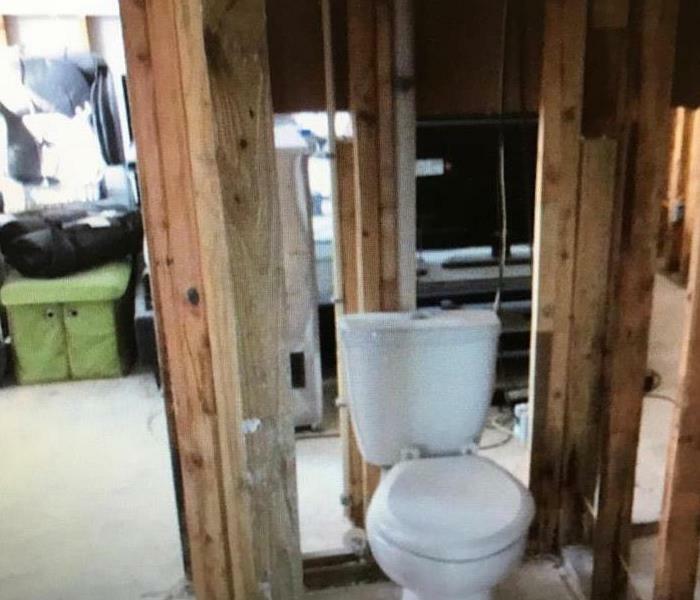 They knew to take out their own sheetrock and pull out their own floors to help minimize the damages. When we got there we mostly placed equipment and sprayed the house down with EPA registered antimicrobial. As you can see in the photos we made sure that we did a perfect job. 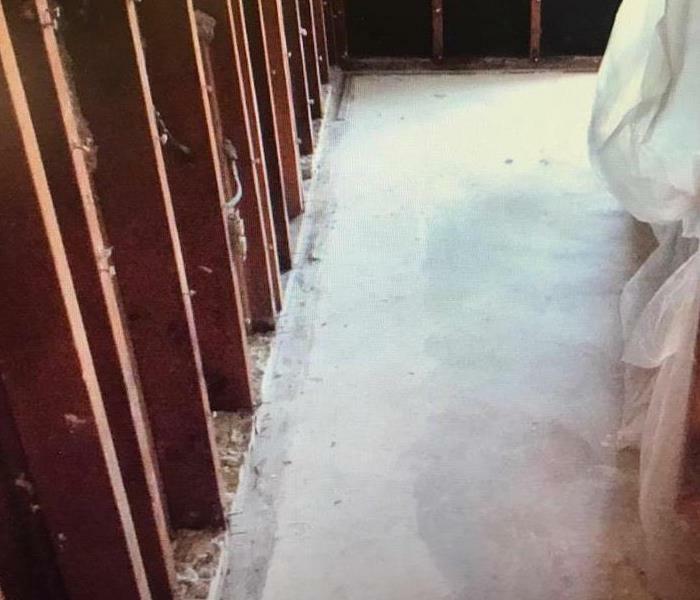 Mold damage is something that can hit your house and have no idea that it is happening. 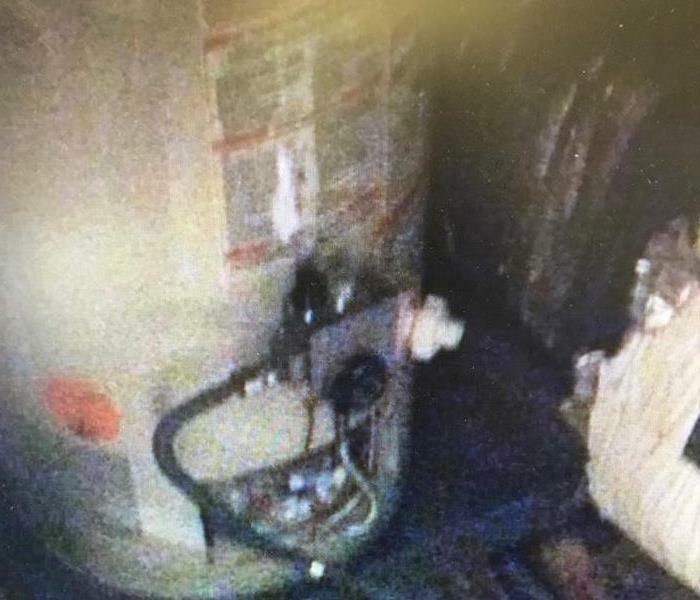 Some signs to look out for are spores on the wall, repertory problems, or an old musty smell. 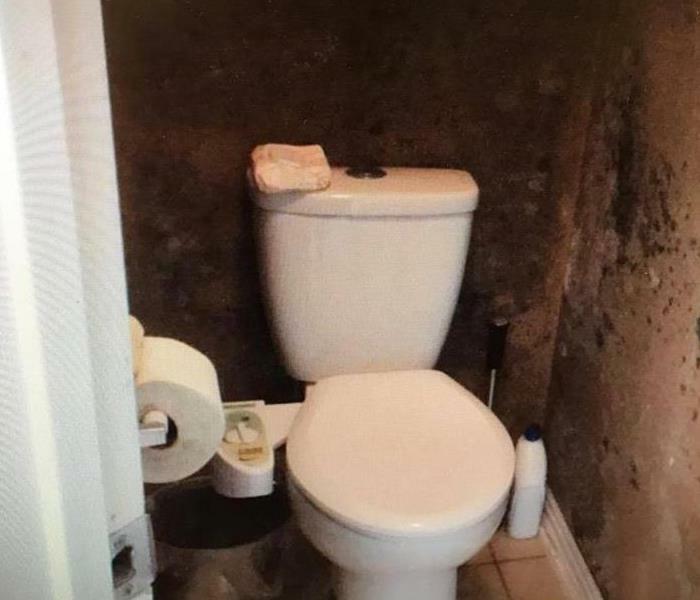 Luckily, we are experts at mold remediation. If you see a problem, make sure to call us! 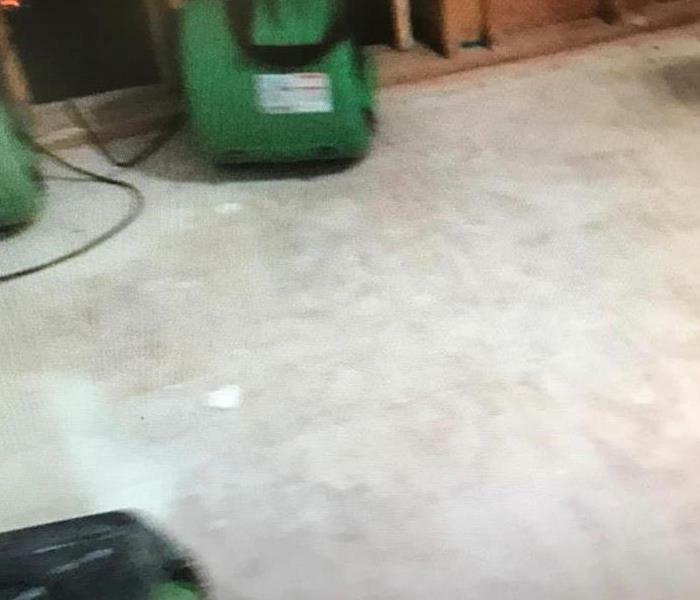 As you can see in this photo we (SERVPRO of Katy Cypress and Champions 1960) are not beginners to fire damage. 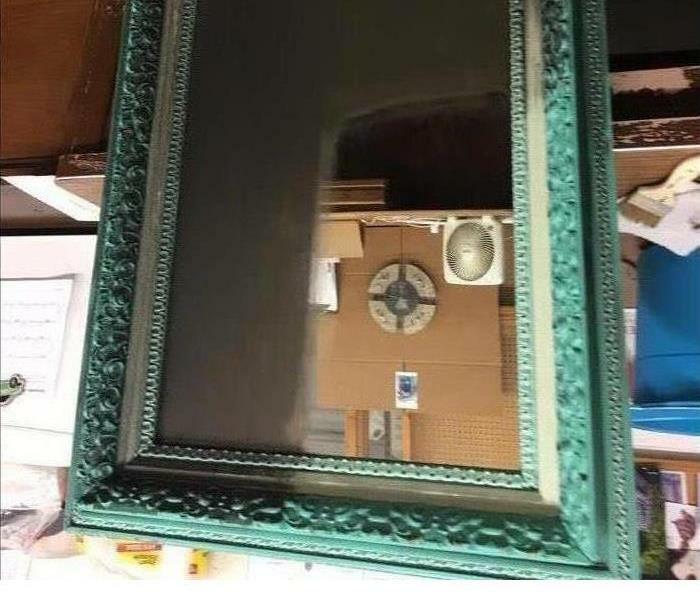 If you look at one side of the mirror you can see how dirty it was and on the other side it is spotless. Fire and smoke restoration is something we take very seriously! 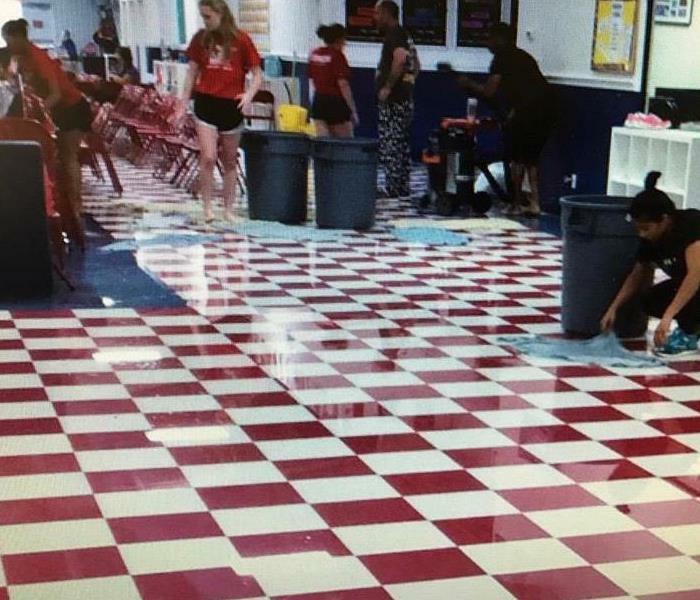 Last year, 2016, we (SERVPRO of Katy Cypress and Champions 1960), got a call to work on a gymnastics gym. 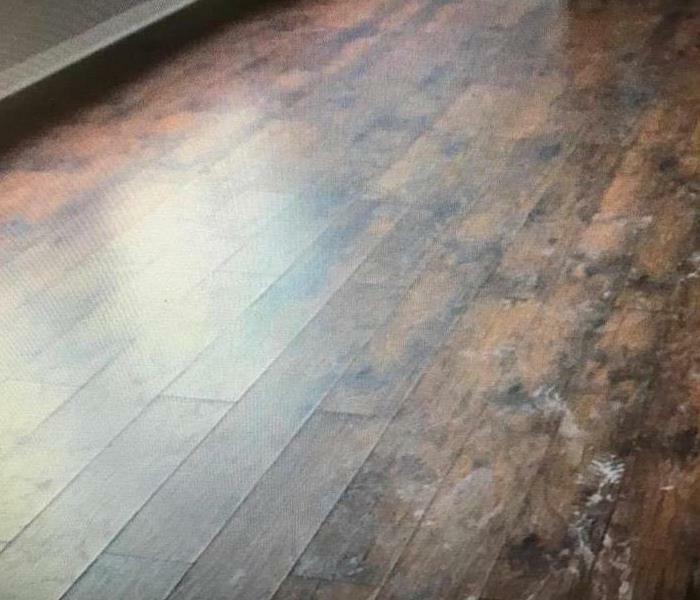 It had water damage but after we finished with it was dry as it was before there were any problems! Don't fret! You've experienced a fire in your home and from what you can tell everything in your home is destroyed. This was surly going to be a big fire restoration job. 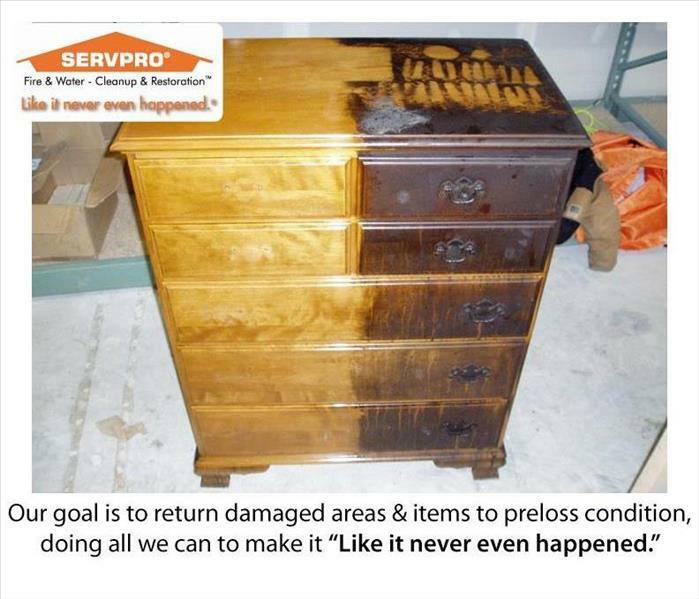 At SERVPRO of Katy/Cypress we pride ourselves on being able to salvage your most precious and beloved items. Grandma Beth's antique chest just might not be lost! Give us a call and we will come to your home to assess the damage and help you determine if we can restore your most prized belongings. We may not be able to save everything but you might be surprised at the magic we can perform! We care about our customers and their needs and we listen to you during this very difficult time. We aim to make it "Like it never even happened!" SERVPRO of Katy/Cypress has been a member of the CY-Fair Chamber of Commerce for over 20 years. We are proud supporters of the local businesses that we have developed relationships with over the years. This years B2B Expo was especially entertaining as we had the privilege of meeting Scott McClelland, the President of HEB food/drug. His outlook on building a business in todays market gave us all a fresh perspective. If you need fire restoration or water restoration we are ready to help at any time and any day. We are so lucky to be a part of a wonderful company that provides us with ongoing support. 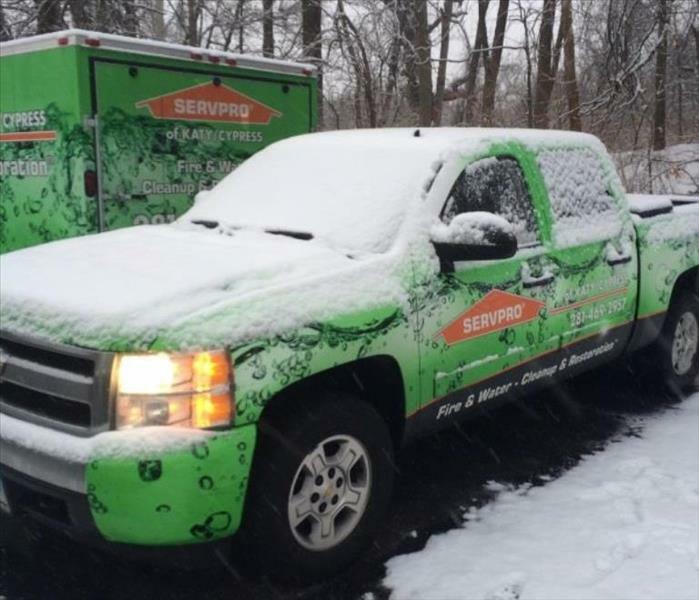 SERVPRO Industries strives to maintain partnerships with top companies in all industries. Today we had the honor of attending a Katy Chamber Ribbon-Cutting for a new T-Mobile store. We represented ourselves as the water restoration and fire restoration team. 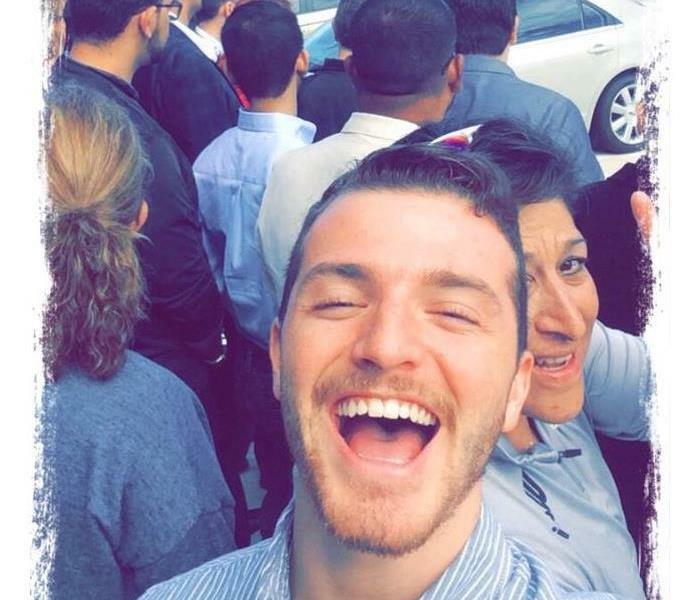 David, our SMR was worried that he wouldn't be seen in the "official" photo since he was in the back row so he took this amazing selfie instead! Well, it's the thought that counts, David! 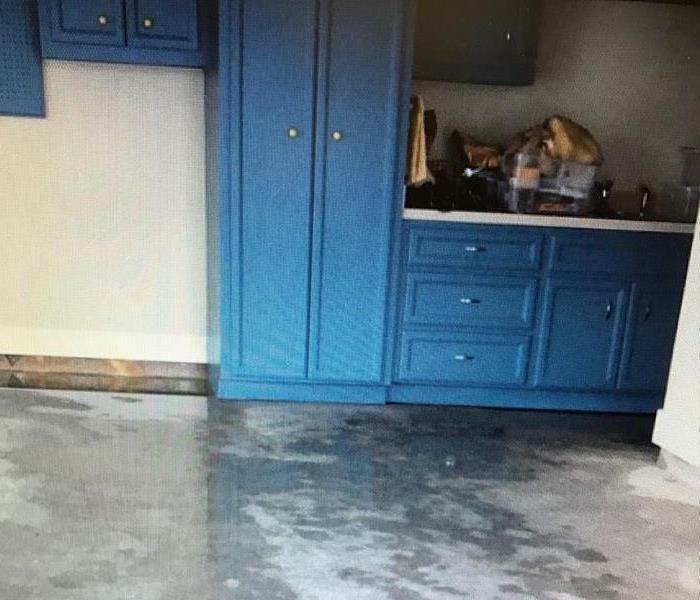 Over the years in the restoration industry we have seen many types of water losses. Church buildings present a special problem in that many churches are vacant of people until the end of the week when they come in to get set up for Sunday Service. 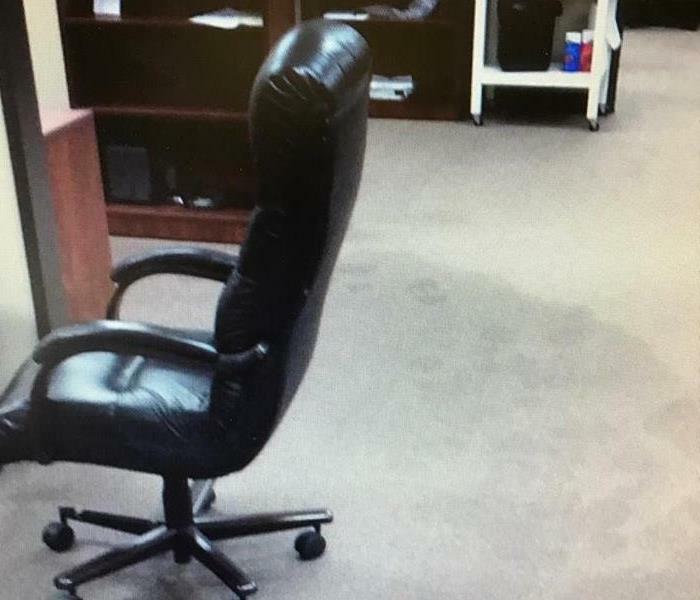 By then the water damage has spread, maybe even continued unattended for days leaving a huge mess. No worries though because water restoration is something that we are experts in. In the photos above you can see our many air movers and dehumidifiers working hand in hand at a church to achieve the desired result, a speedy dry-out! In this situation we were able to get them dried out in time for the Sunday Service. 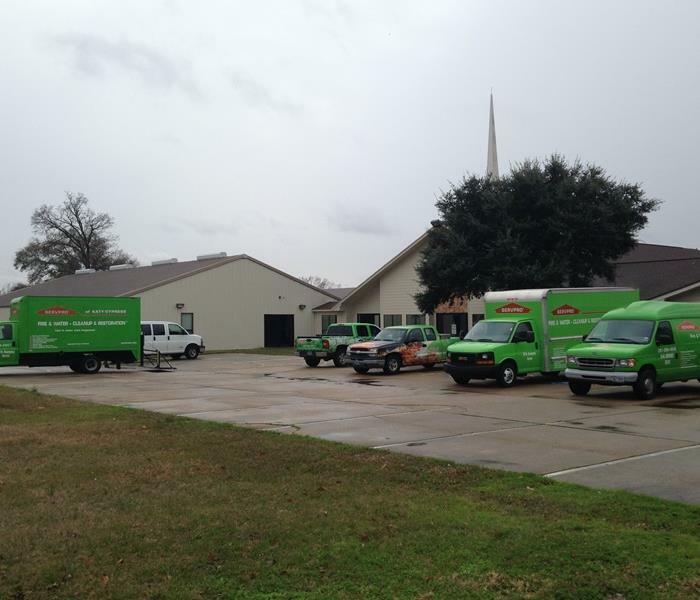 SERVPRO of Katy/Cypress is here to help churches get back to normal. We are trained to understand the time sensitivity of these restoration jobs. Meet our Production Manager and the water mitigation crew. You won't find a better team of men anywhere else! Water restoration and fire restoration are these guys everyday life! 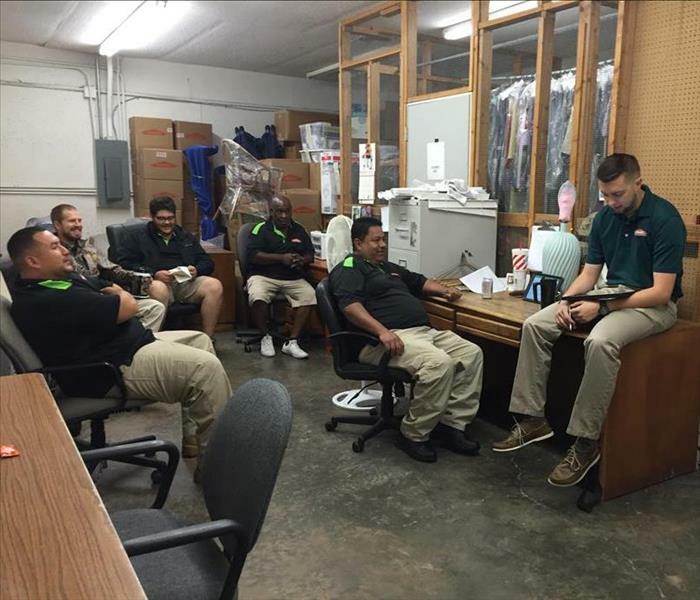 We have daily WIP meetings led by Joseph so that every member of our team is knowledgeable on every job. This morning Joseph is letting the team know of the schedules set for today's jobs. This is where we find out whether or not we are having water restoration, fire restoration, or mold remediation jobs. Julio is making sure our van is fully prepared for his jobs for the day. Safety is always our #1 concern. When you get a call at 3 in the morning for a fire restoration job or water restoration job the last thing you want is for the vehicle to break down. No matter what time it is, our crews are prepared 24/7 for any job. 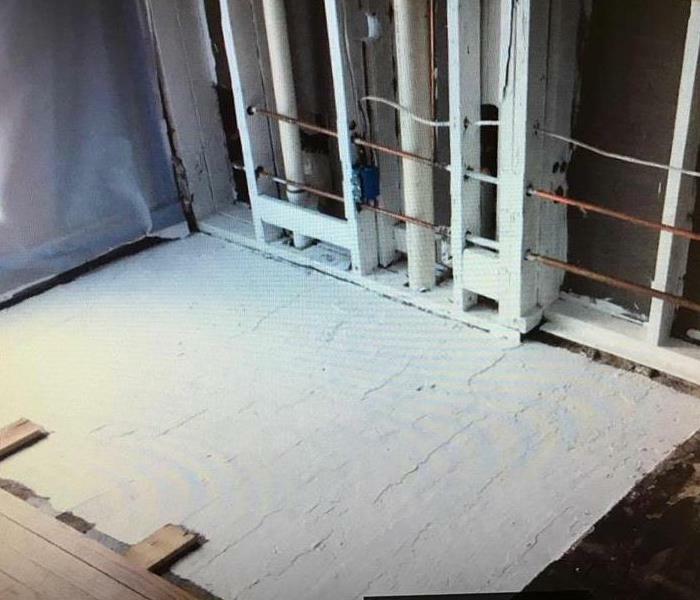 At any time on any day you can get a call for a fire restoration job or water restoration job. 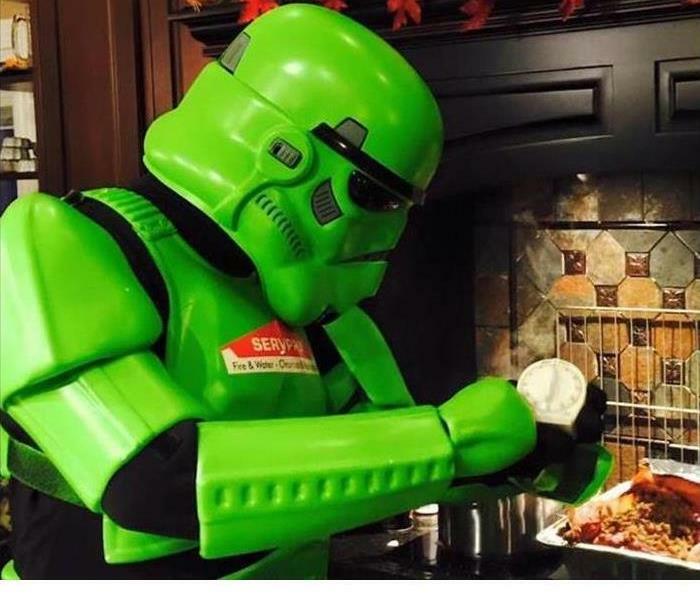 This is why we stay prepared. Our crews certainly had different scenery for this job. Our trucks have never seen so much snow! No matter what weather we are ready for water restoration and fire restoration. Oh yes, even our technicians have paperwork to do! 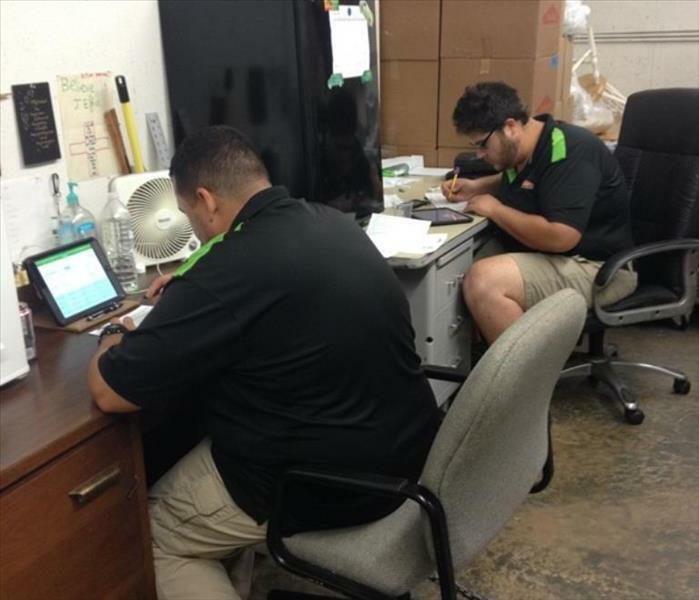 Tony and Ramiro are busy prepping their paperwork for the office staff to process. 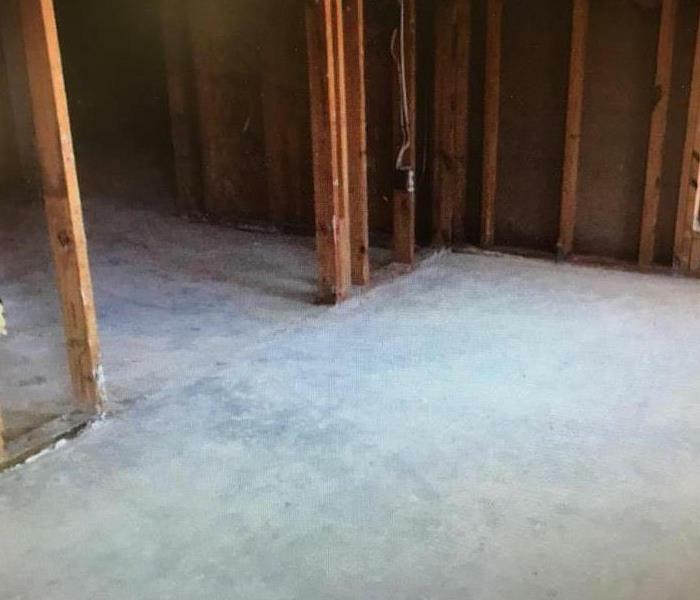 After long hours of water restoration and fire restoration we have to make sure that we are organized to keep the insurance companies happy with our service too! Here is our crew ready to go out and work hard! 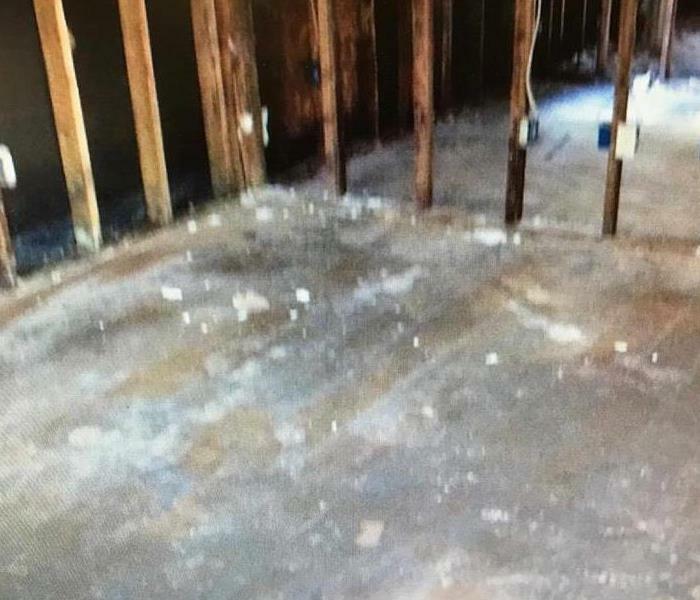 No matter the size of the water restoration and fire restoration job we are ready to do it! No matter where and no matter what time, our crews are always prepared to make it "Like it never even happened." This was a giant water restoration job that we handled very efficiently. 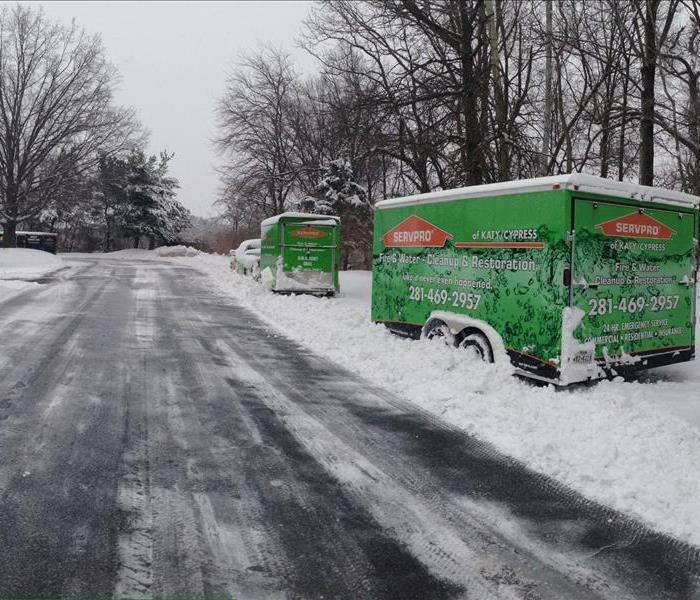 Our crews were ready to go when another SERVPRO location called and asked for our help in DC. There were no fire restoration jobs while we were there but there were too many water restoration jobs. In the end we handled everyone there and got their lives back to normal. Being a Production Manager is a very important job here. Joseph is well known for being very professional and focused. 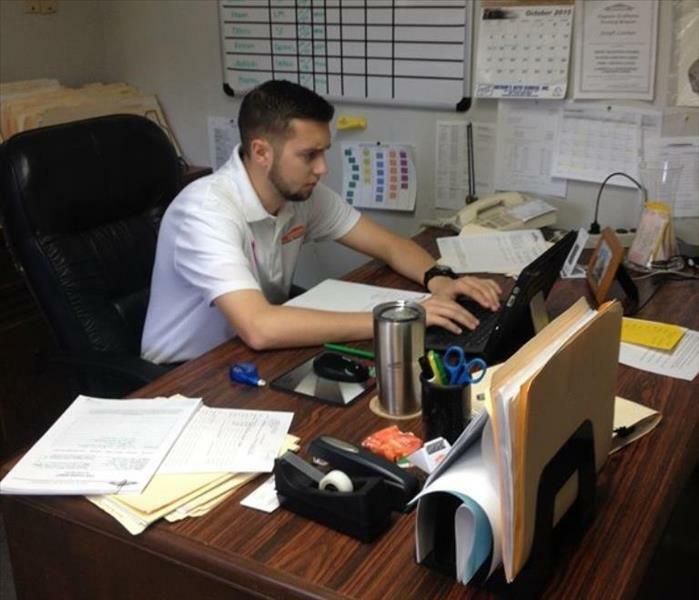 Joseph can handle any water restoration or fire restoration job that comes across his desk. 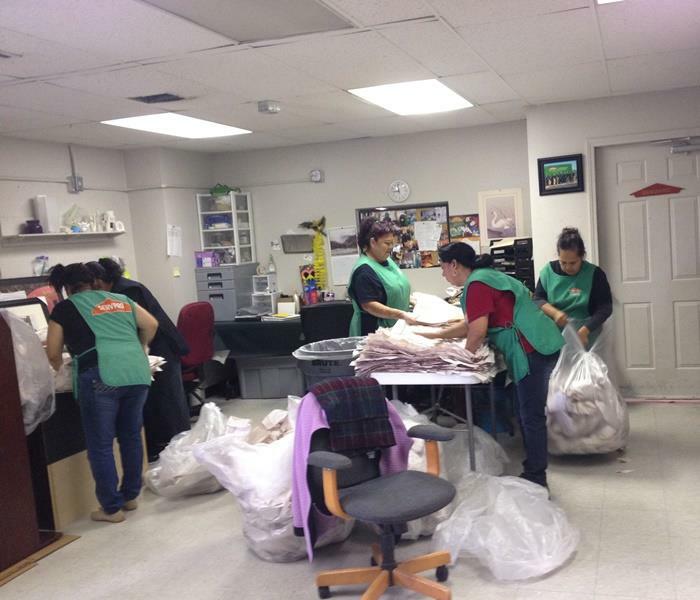 These hard working ladies are preparing to go to a fire loss in Katy. They're loading up all the necessities to be sure of a smooth pack out. While this was a big fire restoration job we were ready to handle it.